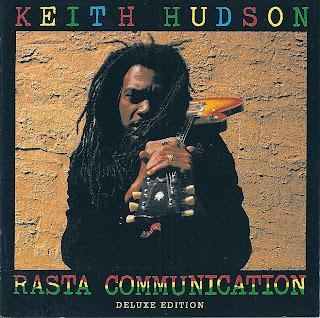 VP Records just had the excellent idea of reissuing Keith Hudson masterpiece, Rasta Communication, in a deluxe edition full of excellent bonuses: you can find the original album , 12" mixes of Nah Skin Up, Felt We Felt The Strain, Bloody Eyes, the 7" version of Rasta Country and an extra CD with a dub version of the album. Rasta Communication was mixed by King Tubby so there are pretty good chances that the dub master himself was invested in the dub version of the album. With Rasta Communication, Keith Hudson was targeting Bob Marley's sales figures. He never achieved them but at least realized a perfect roots joint and and a true reggae heads favorite.